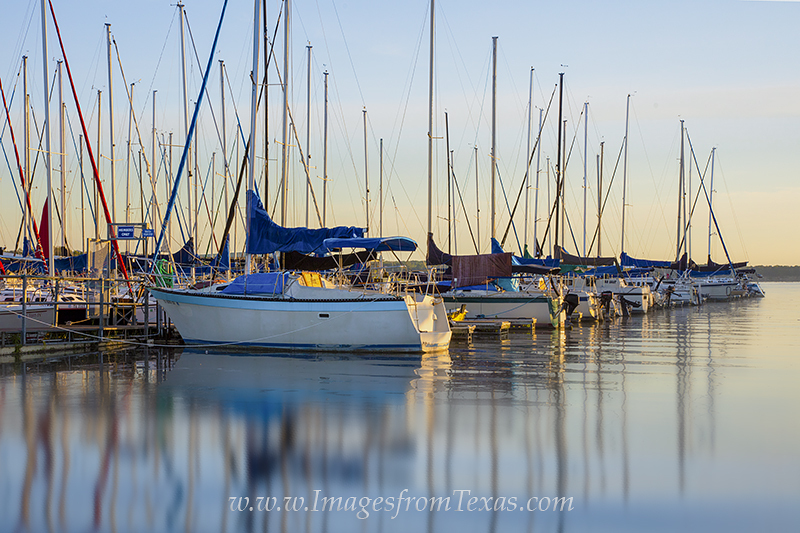 Just after sunrise, the boats in a little harbor on Lake Travis rest in the still morning. This little sanctuary on the edge of the Texas Hill Country offers a respite for city folks, and I always enjoy photographing sailboats in the earlyl morning. Photo © copyright by Rob Greebon.